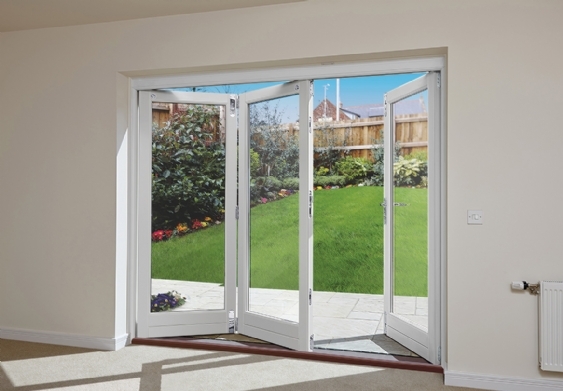 A high quality range of fully finished sliding folding doors to complement any situation. Supplied fully factory paint or stain finished and complete with lock, handles and all other fittings in place – saving you both time and money compared to traditional site finished products. The Cristallo Windows & Doors MAXIVIEW sliding folding door range is manufactured from high quality PEFC accredited Redwood Nordic Pine by skilled and experienced craftsmen using the very latest machining technology ensuring quality of surface finish and accuracy of assembly. The MAXIVIEW sliding folding door range is a fully factory finished product. Supplied securely packed with pre-fitted glazing, locks, handles, gaskets and fittings and either painted or stained to your exact requirements, keeping installation time to an absolute minimum. All MAXIVIEW sliding folding door frames are manufactured from a solid timber section, doors utilise a four piece laminated section and cills are Iroko, one of the most durable hardwoods and ideal for this application. The end result is a fully weather resistant, structurally stable product that will last for years and years. To help keep heating costs to a minimum and to comply with the latest Building Regulations the MAXIVIEW sliding folding door range has a 24mm double glazed unit complete with a 10 year manufacturers guarantee as standard*. 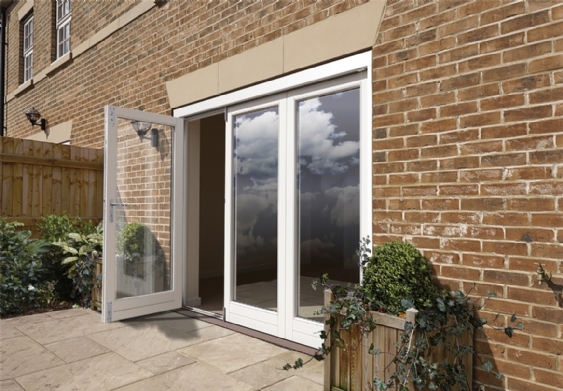 Providing a high security locking system, all MAXIVIEW sliding folding doors utilise a Lockmaster three-point locking system on the main door unit with sturdy Lockmaster slave locks on the remaining units – complete with a five year manufacturers guarantee. 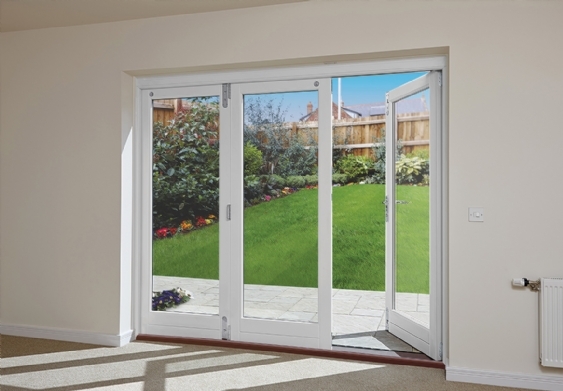 All MAXIVIEW Sliding Folding Doors utilise a master door for ease of access. Available in a wide selection of designs, colours, finishes and sizes there’s a sliding folding door to bring out the best in any situation. *Guarantees are subject to limitations and are strictly dependent upon compliance with manufacturer’s usage and maintenance instructions, these are available upon request. 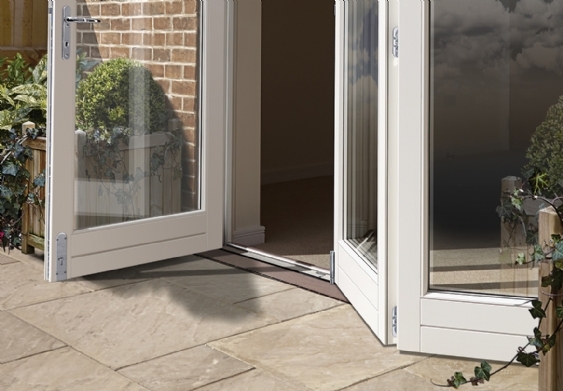 In circumstances of extreme weight doors and glazing may be supplied separately for on-site glazing. We will advise of this, if relevant, at the time of ordering.